DesignsTattoo.net - Designs Tattoo - Virtual Tattoo Editor - The Biggest Choice of Tattoo Designs - Tattoo Gallery – Try Tattoos On! If you are interested in tattoos, want to make a new tattoo or just love body art – Designs Tattoo is for you! We offer you 10000 of unique and fully customizable tattoo designs to choose from. And with our Virtual Tattoo editor you can easily personalize tattoos, add texts, edit images and what is the most important – try tattoos on before being permanently inked! If you can’t chose your first tattoo or you are not sure how it’ll look on you just use our online tattoo maker. Now you don’t need to learn complicated Photoshop or be a professional artist to create your own unique and custom tattoo! With our Virtual Tattoo Editor you can create your own tattoo from a scratch or use our online gallery with thousands of tattoos to choose from. Virtual Tattoo Editor is extremely easy and lots of fun! Try on cool Tattoos digitally before bring it to real life! Create hundreds of totally customized and personalized images! Share your designs and tattooed photos in social networks with your friends, save them to your PC or even print your artworks. Now you can have lots of fun creating your own or your friends’ tattooed pics and sharing them. With our virtual tattoo software you also can easily check how your first or next tattoo will look like on you. Our virtual software is even used by many professional tattoo artists – so they can look and show their clients how tattoos will look on them before bringing them to life. So if you are going to make a tattoo Virtual Tattoo Editor is absolutely for you – with it you can be sure that your new design will look exactly like you want and would be 100% unique! Use the biggest online gallery of tattoos, models and body parts. Now we offer more than 10000 of unique designs. Upload your own digital tattoos and scratches. Instantly make a photo to be tattooed form your webcam. Resize and change colors of all tattoo designs. Distort, reflect, crop and even draw your own strokes. Save images in your own gallery online or download them. Print your tattoo work directly from the website. Share your designs and tattooed photos in Social Networks. You want to have real tattoo but want to know how it will look like on you before being permanently inked. You want to figure out how your next tattoo will look like. You want to create virtual tattoo instead of real. You want to create gift for your friends. You want to have fun and create your friends’ tattooed photos. 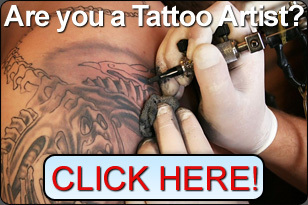 You are tattoo artist and want to show your customers how chosen designs will look like on them. If you are interested in tattoos, want to make a new tattoo or just love body art – Designs Tattoo is for you! We offer you 10000 of unique and fully customizable tattoo designs to choose from. And with our Virtual Tattoo editor you can easily personalize tattoos, add texts, edit images and what is the most important – try tattoos on before being permanently inked! If you can’t chose your first tattoo or you are not sure how it’ll look on you just use our online tattoo maker. Now you don’t need to learn complicated Photoshop or be a professional artist to create your own unique and custom tattoo! With our Virtual Tattoo Editor you can create your own tattoo from a scratch or use our online gallery with thousands of tattoos to choose from. Virtual Tattoo Editor is extremely easy and lots of fun! ©2010, DesignsTattoo.net. All Rights Reserved.